If you're a frequent reader of this blog, you know I was born and raised in Tokyo, Japan. If not, hello and yes, I was lived in Tokyo until I was 18! I grew up in Shibuya to be exact, smack in the middle of the biggest city in the world. I don't know anything other than the city life and I'm a self-proclaimed Tokyo expert. When in Tokyo, one of the top places I recommend for anyone to visit is Harajuku. 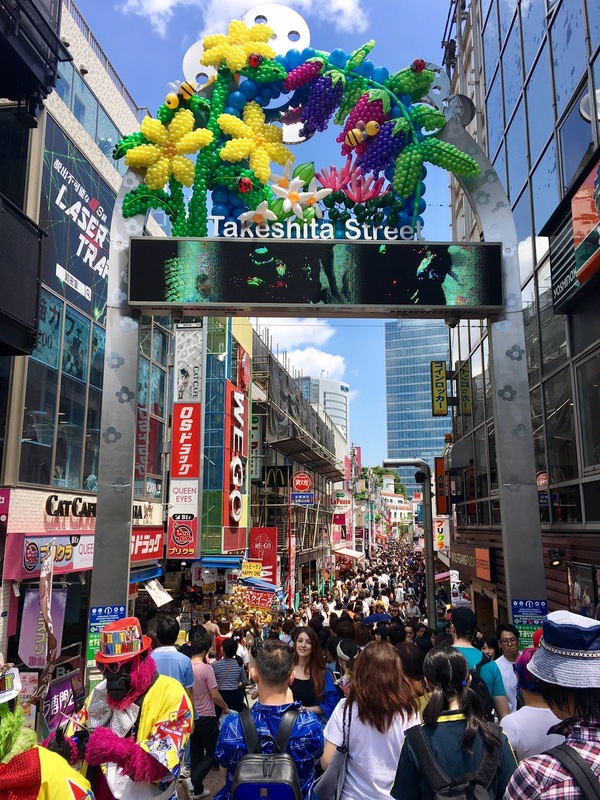 The eclectic, busy and pop-culture-bursting area of Tokyo. Specifically in Harajuku, Takeshita Street is not to be missed! It's a strip of small restaurants and shops that are cheap, quirky and fun - not to mention the people watching quality is top notch! After living only 1 station away from Harajuku and having worked there in high school, I know the area like the back of my hand. That also means I know exactly where you should eat since that's one of my favorite things to do! 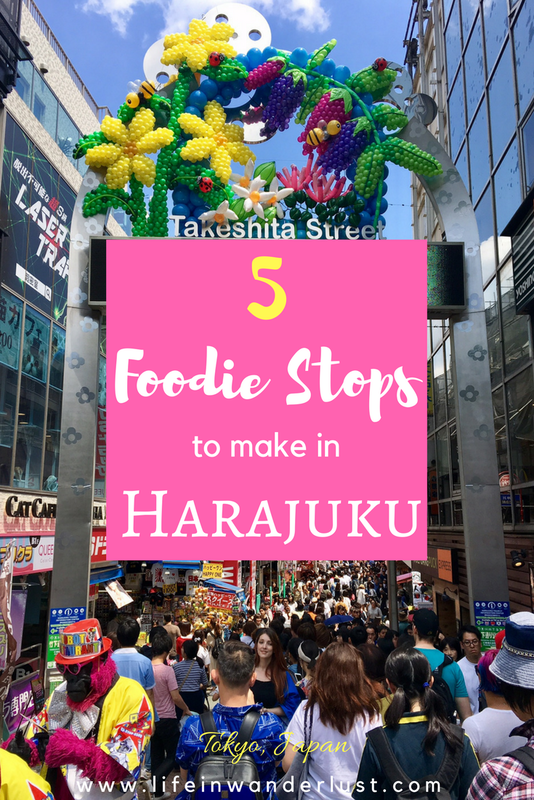 Without further ado, here's 5 places you must eat when visiting Harajuku! 1. 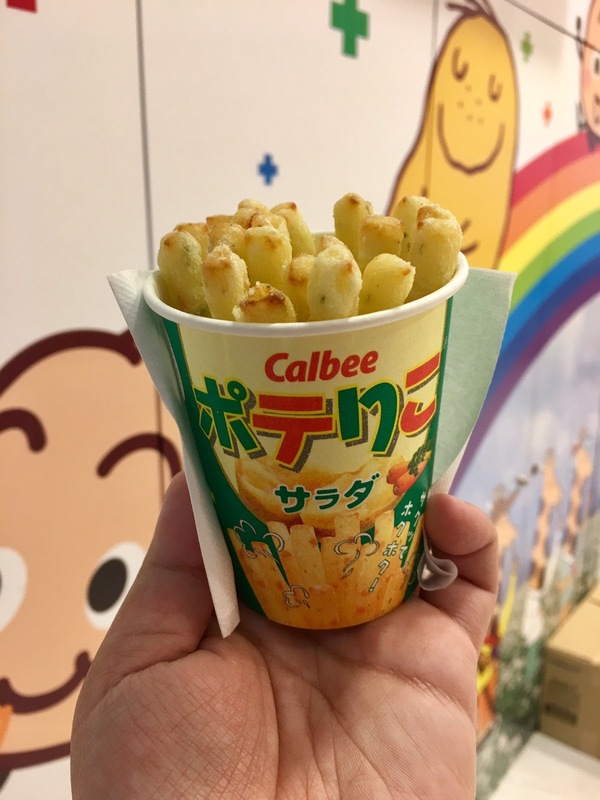 Calbee Plus - Calbee can be compared in the United States to Frito Lay, a huge company that makes predominantly potato chips and potato related snacks. 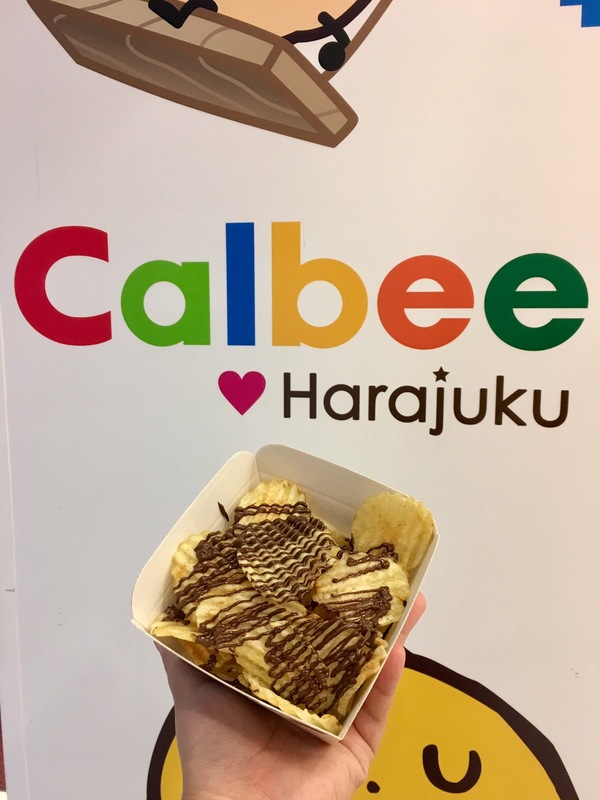 Calbee started opening food trucks and small shops across Tokyo a few years ago and they blew up - for good reason! 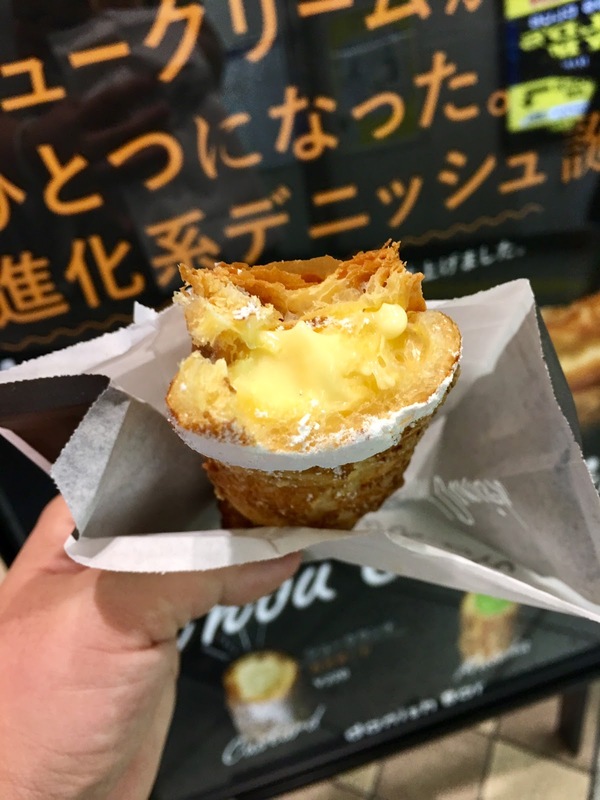 In addition to limited edition flavors or snacks that can only be found at the Calbee shops, they deep fry all their treats there. You can order piping hot potato snacks and they are so delicious! 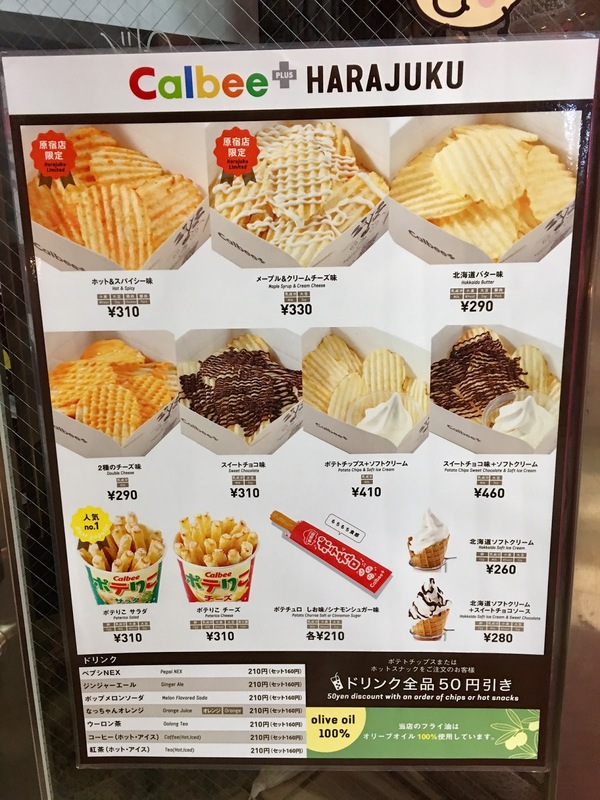 I tried the chocolate drizzled chips, the Jagariko (fried potato sticks) and the churro. It's hard to pick a favorite but the Jagariko was the winner for me! 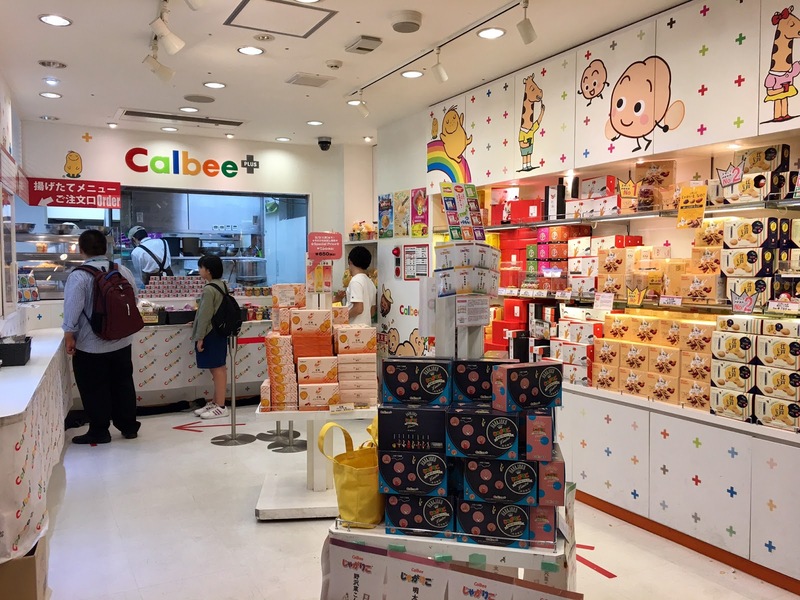 Location: The Calbee shop is located on Takeshita Dori (Street), approximately halfway down. It's usually busy in addition to it being colorful so you won't miss it! 2. 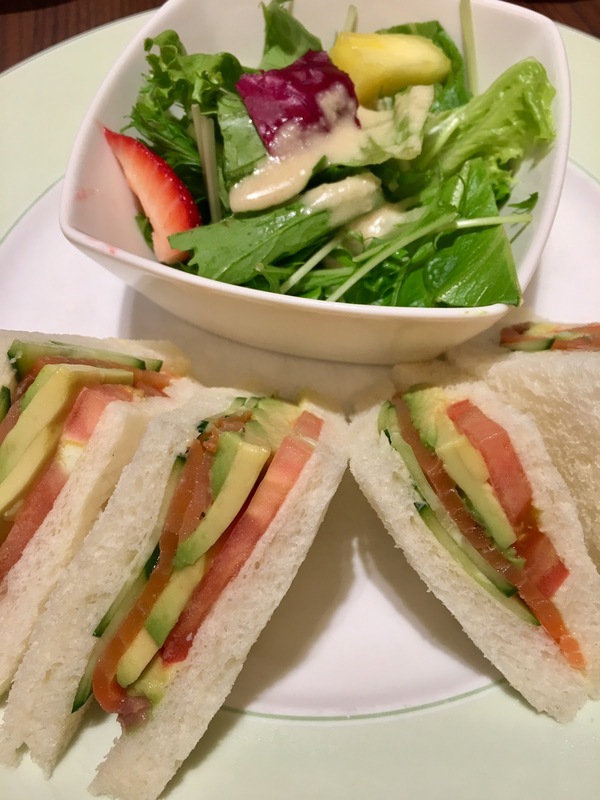 Pompompurin Café - I wrote a post entirely on my Pompompurin Cafe experience so click here for the full post. 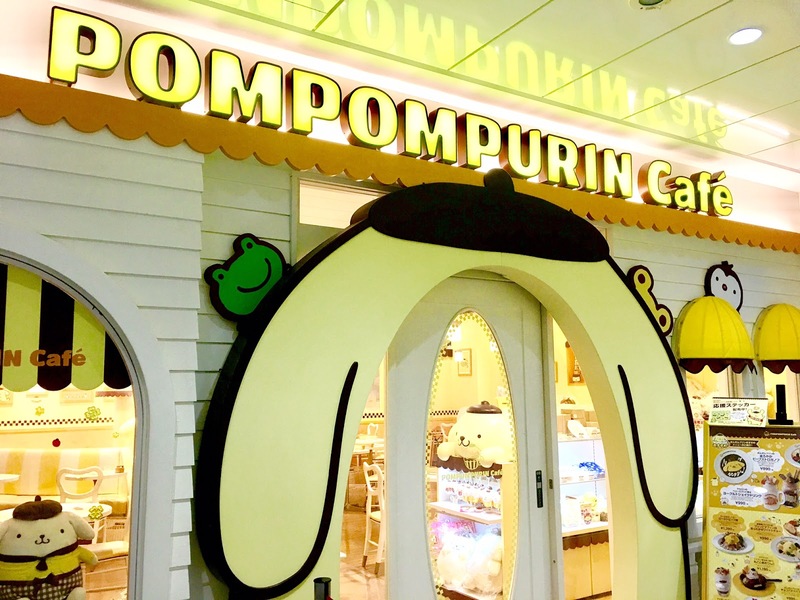 But if you're just scrolling, here's a quick summary: it's a super kawaii (cute) restaurant by Sanrio, the mega character company that also created the likes of Hello Kitty, Keroppi, My Melody and of course, Pompompurin. 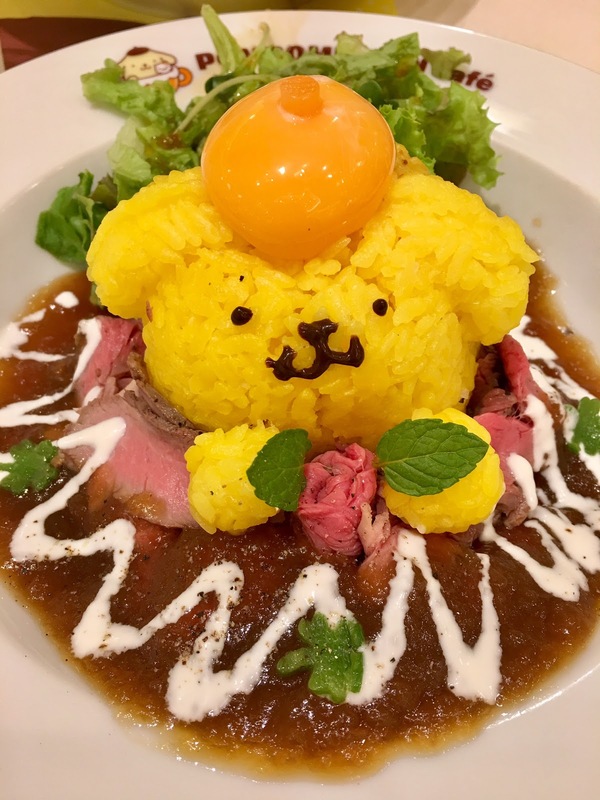 The cute Golden Lab themed cafe serves just as adorable food. The service is great, everything about the place is Instagrammable and the food is delicious! 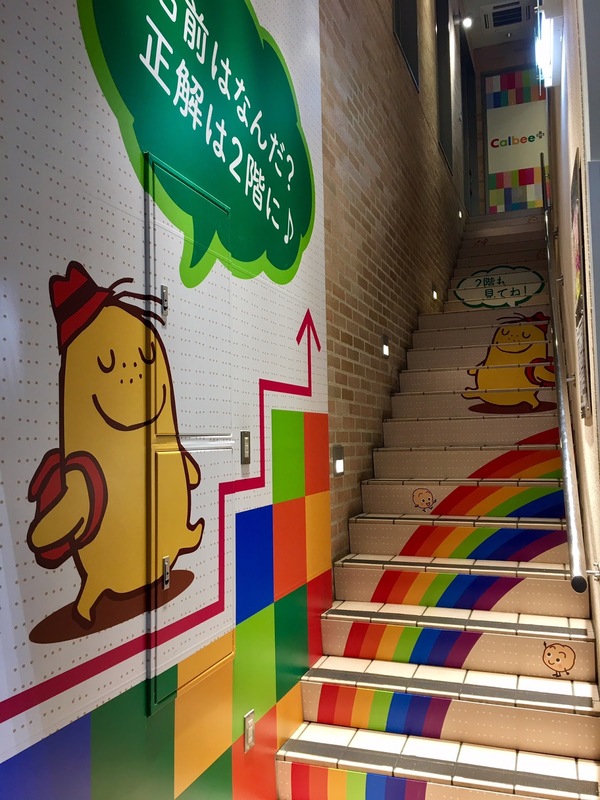 Location: The Pompompurin Cafe is located in Takeshita Street as well, on the 3rd floor of the Cute Cube building. Specific address is on the post right here. 3. Senbikiya - I would be surprised if anybody has ever written about Senbikiya; unless you're a Tokyo (specifically Shibuya) native. Senbikiya is actually a family-run fruit farm and a high end one at that. They specialize in fruit that are absolutely spotless and perfect in every way. Growing up in Tokyo, I remember as a child knowing that Senbikiya fruits were presented in beautiful boxes, lined up perfectly and had a lofty price tag. Because of their fruit quality, their fruit parfaits are quite famous amongst Tokyo natives and I had to include it on the list. Everything on their menu is delicately prepared, almost always includes fruit (even entrees!) and incredibly delicious. Location: Senbikiya is right on the Jingubashi Street, the busy street parallel to Takeshita Street. It sits between Laforet and Softbank. 4. 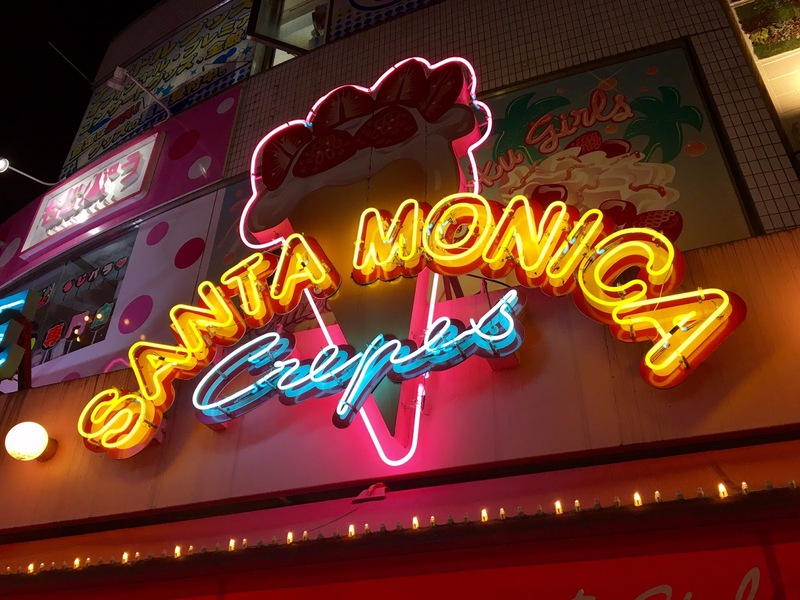 Santa Monica Crepes - A lot of Tokyo fans know that Harajuku is known for the several crepe stands. Not sure how or when it started but the crepe reputation of Harajuku has been there ever since I was born. 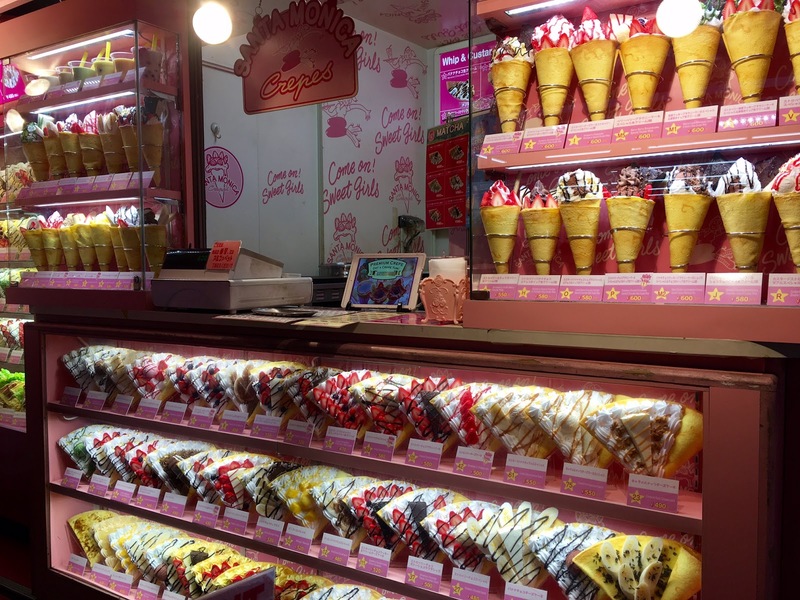 I roughly counted over 15 crepe stands just within the Takeshita Street and I'm pretty sure all of them are delicious. But the one I've always gone to, circa 1990's is the Santa Monica Crepes stand. There are 100+ items you can choose from; some savory but mostly sweet crepes. 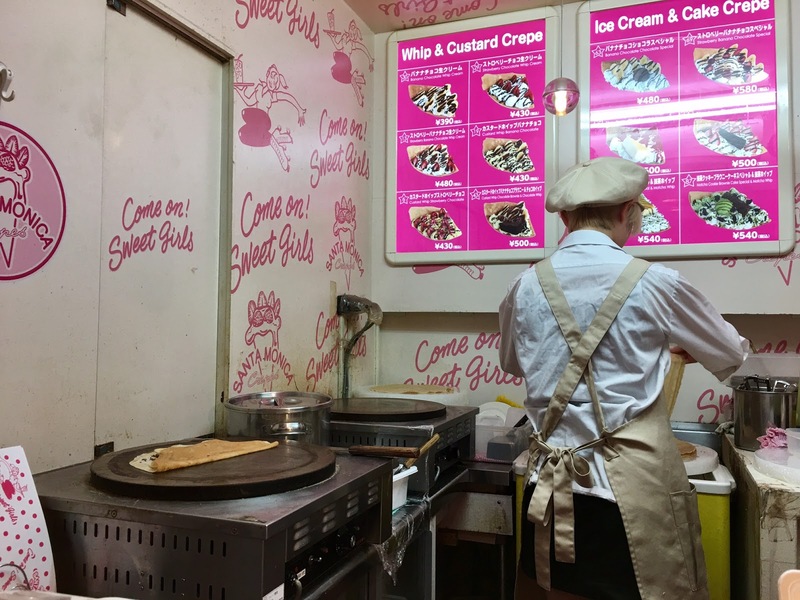 While I enjoy a good ol' Nutella strawberry crepe, why not go for something that's unique to Japan? 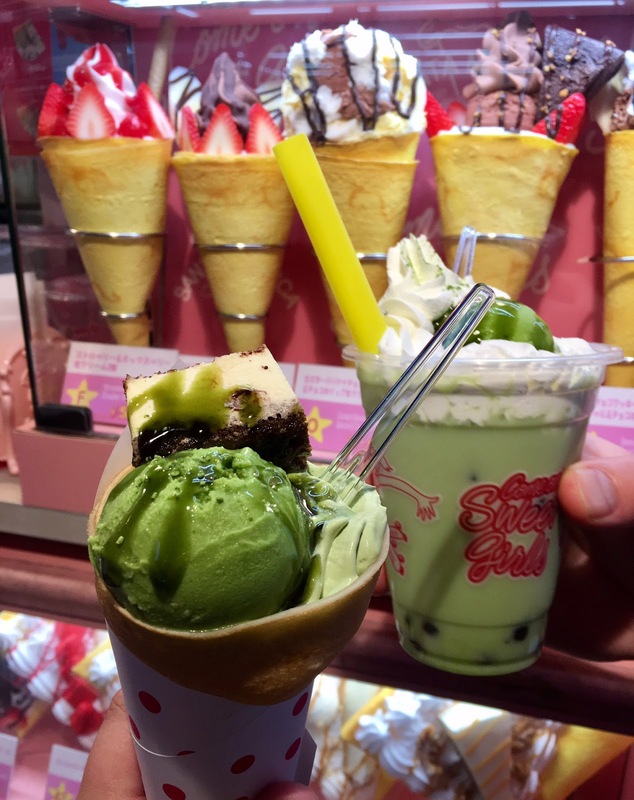 I ordered the Green Tea Tiramisu crepe and I would go back again (and again) for more! 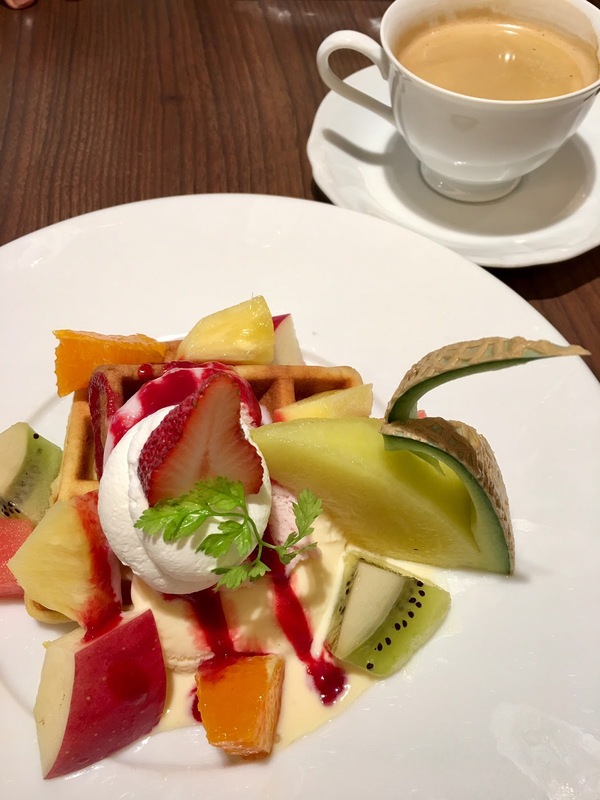 Location: Santa Monica Crepes is also in Takeshita Dori (Street), almost halfway down. 5. Danish Bar - Here's another unique spot that I doubt people have discussed before! 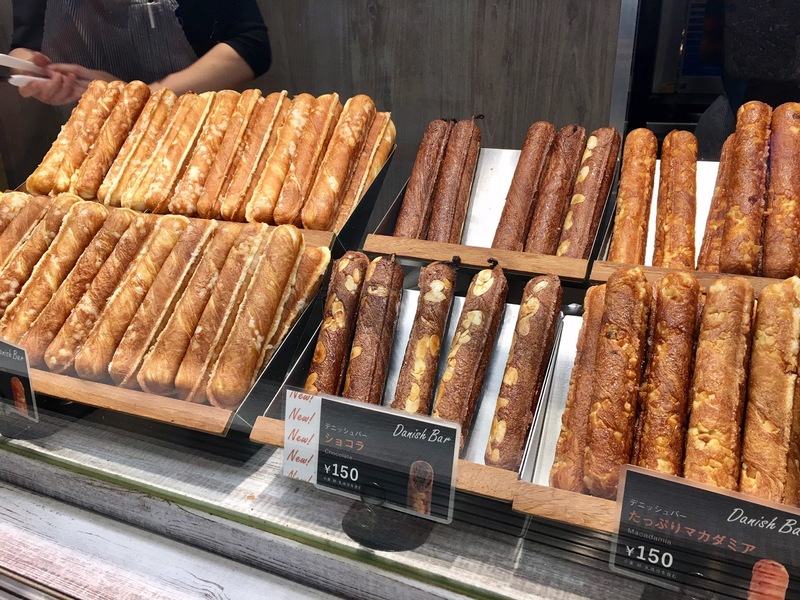 Located in the subway exit of the Meiji Jingu Mae station of the Chiyoda line, it's a small stand that sells the most delicious baked bars. They bake them right there at the shop and I love stopping by for a few bars. The sugar, chocolate and maple are their classic flavors but occasionally, you can enjoy limited edition treats as well. For the price, you can't go wrong! Location: The Danish Bar is hidden away in the subway exit underground. 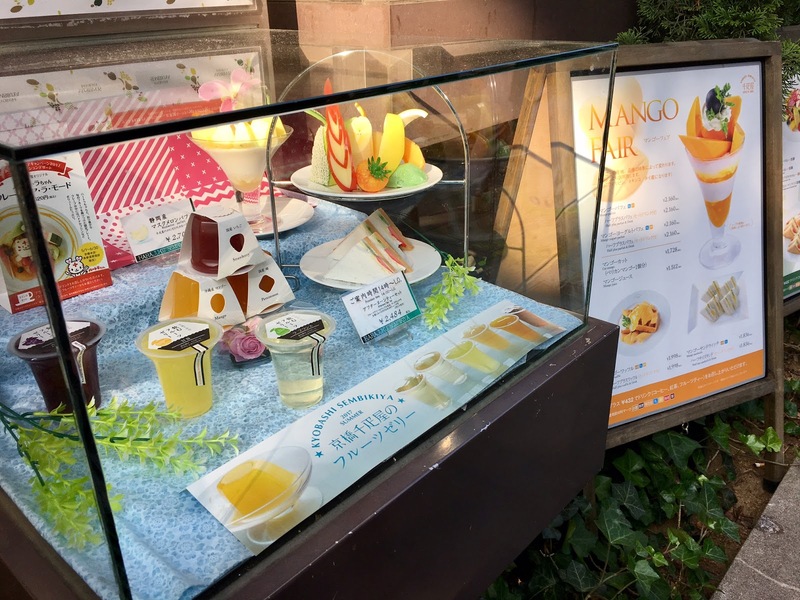 It's at Meiji Jingu station on the Chiyoda line, right next to Starbucks. Chocolate chips? Very interesting. I'd love to sit and people watch on Takeshita Street. Although it doesn't look like it's the kind of street where you sit. 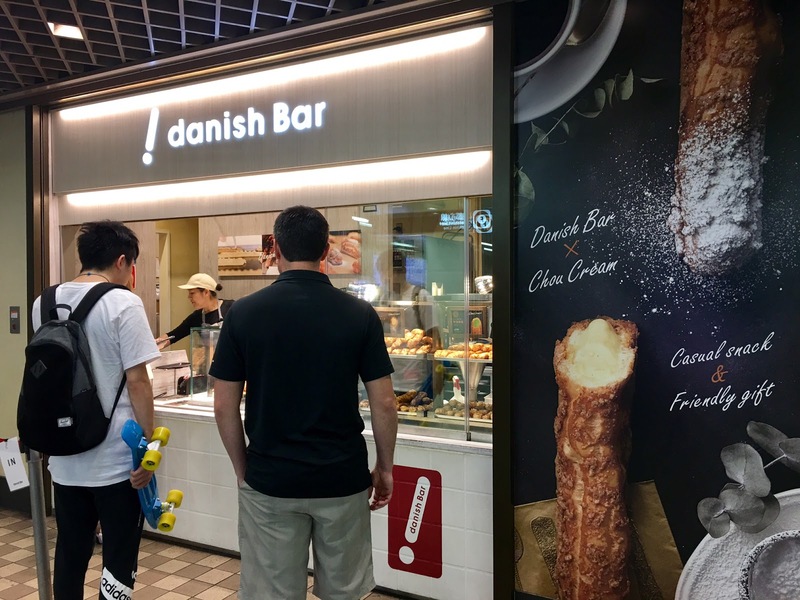 Oooh didn't know about Danish Bar, going to check it out when I'm in Tokyo next! Thanks Kana! Everything looked so yummy and colorful! This whole post made me so hungry. 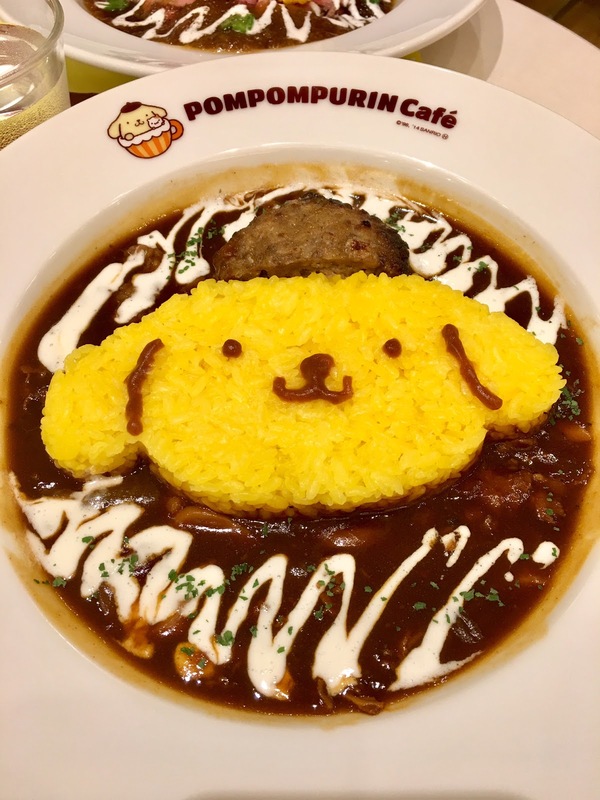 I love the pompompurin cafe. Though the dishes are too adorable for me to want to eat it! These look so fun! Tokyo is #1 on my teenage daughter's list and we would love to take her! It looks like every single meal and snack would be a fun adventure. They take such care to make FUN food!! © 2015 Life In Wanderlust. Ashleigh Template designed by Georgia Lou Studios All rights reserved.